‘The ‘B’ Files’ is a tongue-in-cheek film with a serious and relevant natural history theme. It is a unique ‘field guide’ to a forgotten, ignored and misunderstood family of creatures that once brought chaos to the world. ‘B’ monsters were often inspired by living creatures – the looks and behavioural traits of their natural equivalents were, in many instances, as bizarre as the monsters themselves. We’ll be exploring the natural history of these unusual relatives in our quest to better understand the ‘B’s. And we find that, like the monsters of the 50’s, they too are among the forgotten, ignored and misunderstood. The Creature from the Black Lagoon’s closest natural ancestor is neither fish nor frog and it’s every bit as territorial as the gill man – meet the strange hybrid lung fish. The Tingler is a ‘B’ monster that feeds off fear but its living ancestor is even more voracious. A predator that enmeshes its prey in threads of sticky slime before it tears it apart – the ancient Peripatus or velvet worm. The Monster that Challenged the World’s closest relative was a brine shrimp, the original ‘Sea Monkey’! And The Blob is a giant insatiable amoeba. The lifespan of the ‘B’ monster was destined to be short, just over a decade. As audiences became more sophisticated, the monsters that once wielded terror were laughed off the screen. They were forgotten. In some instances, body parts were left to rot in old studios (the Blob was found in a bucket). Nowadays, the simple, inexpensive anatomy of the ‘B’ movie monsters cannot compete with computer-generated images. Their uncomplicated lives are of no interest to us in the 21st century. The ‘B’s lost our affections because they were the ‘B’s … not the ‘A’s. 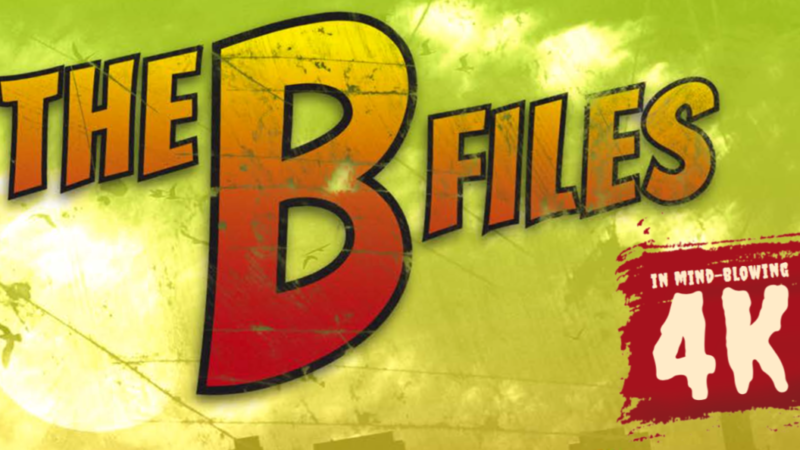 And therein lies the message of ‘The ‘B’ Files’. So much of the world’s living fauna can’t compete with the big stars either. It’s easier to generate love, awe and protection for pandas and white rhinos than the brine shrimp, the velvet worm, or the lungfish. They are the ‘B’s of the animal world. Destined to be ignored by an ever-demanding audience of humans who have been hypnotized by charismatic megafauna. In presenting this unique natural history of ‘B’ Movie monsters, we explore the credible and the incredible – in the hope that laughter, fear and ignorance are not used as excuses to turn our backs on diversity ever again.